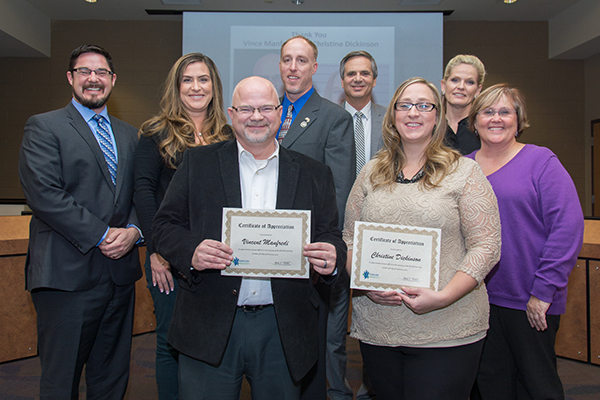 Home Tags Articles tagged with "school board"
Maricopa Unified School District board members Joshua Judd, Patti Coutre, AnnaMarie Knorr and Torri Anderson approved a resolution supporting teachers' campaign for better funding in April. Teachers and classified staff at Maricopa Unified School District could see a pay bump next school year, according to district documents. 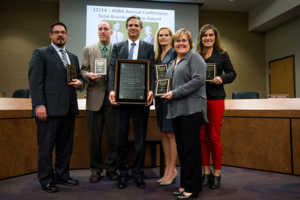 The MUSD Governing Board will vote to approve a 10-percent salary increase for teachers, academic coaches, school counselors, “related service providers” and teachers on special assignment during a meeting May 30. Classified staff could see 5 percent added to their hourly pay rate, if approved. The board will also consider a 10-percent hourly increase to the paychecks of its bus drivers and mechanics in the district transportation department. MUSD administrators would receive a 5 percent salary increase under the proposal. Documents stated the increase would cost the district’s 2018-19 maintenance and operation budget more than $2.5 million. Earlier this spring, districts experienced a teacher walk-out that left schools empty statewide. Educators in the #RedForEd movement demanded better funding for classrooms and themselves. Teachers received a 1 percent pay increase last year. Gov. Doug Ducey and the Legislature approved this month a plan that included a phased increase for public school teachers – a term they left to districts to define. By 2021, educators would see a 19 percent average pay increase. Under the statewide budget for FY 2018-19, the Legislature approved a 9-percent increase in teacher pay; with 5 percent being added each of the following two years. However, how much and who that money goes to is ultimately at the discretion of school boards. The Board will vote on the salary recommendations at the District Administration Building, 44150 W. Maricopa-Casa Grande Hwy., May 30 at 6:30 p.m.
Counseling referrals could be used to cut down on days spent on suspension for local secondary students. 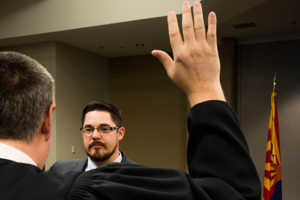 The Maricopa Unified School District discussed the possible change to its discipline policy during a Governing Board meeting Wednesday night. The referrals would only apply to students who are first-time, minor drug and violence offenders. 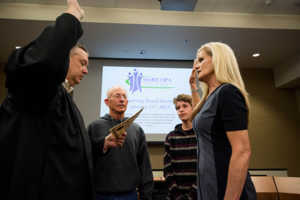 Board Member Torri Anderson suggested the change following similar policies enacted by other districts in the Valley, including Paradise Valley Unified School District. In similar districts, Superintendent Steve Chestnut explained, counseling sessions reduce the number of days a student is suspended from school. 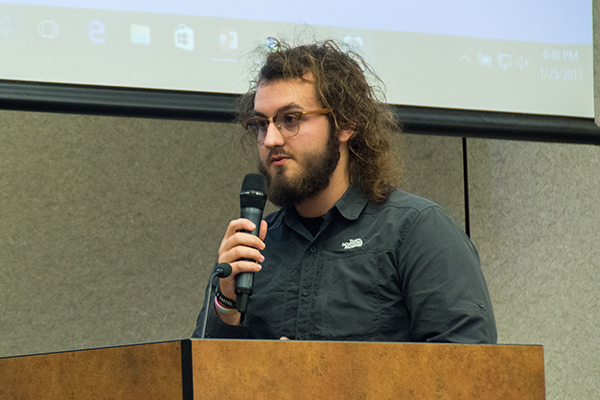 Anderson said the move would allow parents and students to receive drug or bullying counseling to reinforce good behavior on campus. “When they are on off-school suspension, they are gone for three days and they can go sell more drugs and make more money and come back to school and sell more drugs,” Anderson said. 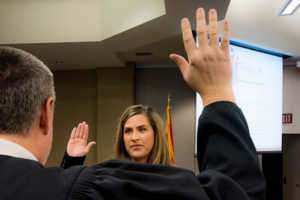 Currently, codes of conduct included in student handbooks for secondary schools in the district allow administrators to apply a range of consequences for students, including 10 day suspension, “long term” suspension, expulsion, “alternate placement,” or a referral to the Maricopa Police Department. Although MUSD students have access to school counselors, it is not required in the district’s disciplinary policies at either the elementary nor secondary level. The question of funding such referrals by the district is one that could only be answered by the district’s attorneys, Chestnut said, but one that will be looked into. Anderson said a grant funded by the district itself could be another option. “I think it would be worth the expense,” she said. The discussion came after complaints made by parents about how the district handled student discipline in recent weeks. Parents previously addressed the board concerning fights between students at Maricopa Wells Middle School, as well as a misconception that the district had a “zero tolerance” fighting policy in which students involved in fights are suspended regardless if one is a victim. However, Anderson requested the board hold a meeting with elementary teachers and principals due to wording within its code of conduct. Even without the suggested changes, Chestnut said district principals are “getting it right most of the time” with the current code. “We have principals that use judgment and they are good at applying the discipline grid so that we have consequences that are fair. I am not saying they are perfect, but I am saying that I’ve been so impressed with them over the past five years,” Chestnut said. The Maricopa Unified School District unanimously voted Wednesday to approve the installation of additional bathrooms and portable buildings at Maricopa High School, a move designed to accommodate the district’s new Alternative Education Program. The measure to install more bathrooms in the automotive building was tabled at the board’s Jan. 11 meeting due to concerns about the construction timeline and whether it would be completed by the start of the 2017-18 school year. 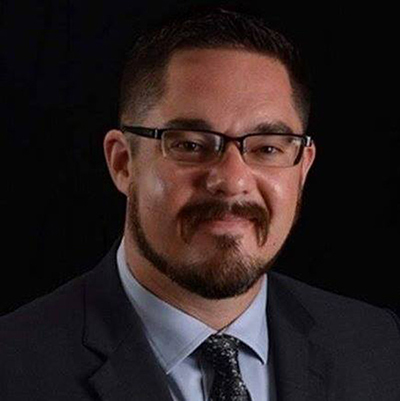 After conferring with Business Services Director Aaron Rausch, Superintendent Steve Chestnut expressed confidence at Wednesday’s meeting, saying the district will “get this done by June, before the first day of school,” and he again recommended approval of the measure. The second item approved by the board was the installation of two portable buildings, which will be used by the Alternative Education Program. There were some questions raised as to the possibility of the installation of a permanent structure. However, due to budgetary implications, new construction projects are not quite feasible. Furthermore, Chestnut said the district’s steady growth merits the purchase regardless of application. Chestnut said the alternative program is currently designed to begin at 2 p.m., thus the portables could serve a secondary purpose during the early part of the day. The alternative program will be designed to assist up to 120 credit-deficient juniors and seniors who may be at risk of not graduating on schedule. The program is set to begin with the 2017-18 school year and is funded by revenue gained from the recent tax override. 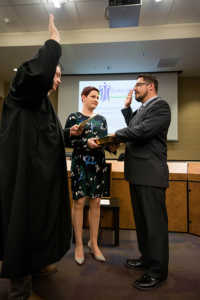 Incumbents AnnaMarie Knorr and Torri Anderson and newcomer Joshua Judd were sworn in as member of the Maricopa Unified School District Governing Board before Wednesday’s meeting by Judge Lyle Riggs. 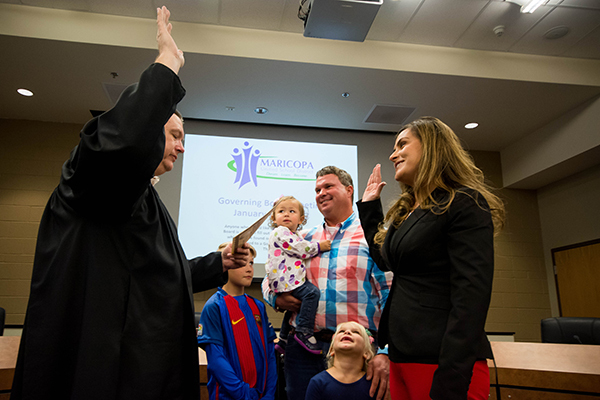 Starting Jan. 11, the Maricopa Unified School District will have a new face on its governing board. In November, MUSD had just enough candidates to fill the available seats on the governing board. That meant no vote by the public was necessary. Current board members Torri Anderson and AnnaMarie Knorr retain their seats. The third slot is filled by newcomer Joshua Judd. Judd is a teacher in another district, but his three children attend Pima Butte Elementary. “My overarching goal for service on the MUSD Governing Board will be to help guide the district to an ‘A’ rating. I am joining an award-winning team and humbled at the opportunity to serve my community,” he said. Like least about Maricopa: Global Water! 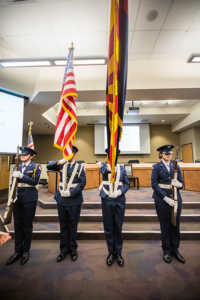 At its final meeting of the 2015-16 school year, the Maricopa Unified School District Governing Board approved the budget for the upcoming year, increased salaries for health workers and new crossing guard positions. The approved $40.6 million budget for the 2016-17 school year includes virtually no changes from the proposed budget presented to the board last month. New spending in the budget includes a 3.9 percent base salary increase for all employees, an annual bonus for staff and 25 added positions, including teachers, a security officer and a nurse. Much of the new spending comes as the district takes in about $3.5 million in additional revenue from the state with the passage of Proposition 123, which Arizona voters approved in May, and inflation funding. Proposition 123 allows Arizona to tap into the State Land Trust to give districts an additional $3.5 billion over the next 10 years to settle a lawsuit from the school districts that contended the state underfunded them during the recession years. 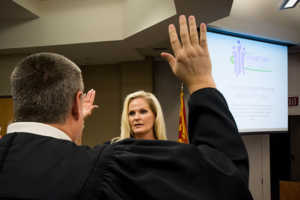 At the meeting Wednesday night, the MUSD governing board also voted to approve a 15-percent base salary increase for health service staff at Maricopa schools. The board earlier approved adding an extra nursing position as part of the budget process, bringing the district total from seven to eight. MUSD Superintendent Steve Chestnut said the pay boost is needed to increase retention among nursing staff, which experiences high turnover. MUSD currently has openings for four registered nurses across the district. “We’ve had a lot of nurses come and go over the years,” Chestnut said. With those four openings for nurses, the district is looking to fill 15 positions total — six of those being classroom positions. “We have backup plans if we can’t fill them all,” Chestnut said. Board Member Torri Anderson said the openings Maricopa has are small when compared to other districts in metro Phoenix. She added many of the teachers being hired at MUSD also live in Maricopa, which helps to increase retention. A request from Butterfield Elementary School for four crossing guards led to a lengthy discussion among board members about the need for the positions and whether the district should pay for them. The four crossing guards at Butterfield were requested by the school’s principal Janel Hildick because of concerns for student safety when trying to cross streets around the school. Half of the $35,000 to $42,000 for the crossing guards, who would also work as playground monitors, would come out of Butterfield’s site budget. The other half of the funding would come from the district’s maintenance and operation budget. Chestnut added Butterfield has received the most concern for student safety on the busy roads around the school. Currently, teachers and staff members share crossing guard duties at the school. Board Member AnnaMarie Knorr said by approving the request from one school might prompt other schools to come to the district for any extra staff they might need. She added teachers and staff at other schools would still need to be taking up crossing guard duty. Anderson said she understood the concerns but the Butterfield crossing guards are necessary because there is need for them now. “I think that we need to support, as a board and as a district, the safety of our students,” she said. The board approved creating the four crossing guard/playground monitor positions at Butterfield and adding the district-wide job description for the position for other schools that may ask for crossing guards, too.